From the beginning of our congregation in 1911, First Presbyterian Church of Wilmette has endeavored to provide a church home for its members. We have inherited a rich history and heritage from those who have gone before and we look to a bright future that is a blessing to men and women everywhere. While sitting in a sanctuary pew before a worship service, it’s difficult not to marvel at the beauty of our stained glass windows and wonder about the symbolism depicted in those windows. Our stained glass windows were given by a former member, Charles R. Fahringer, as a memorial to his wife, Adelaide Gibb Fahringer. The windows were made by Giannini and Hilgart of Chicago, one of the few companies that Frank Lloyd Wright used to produce his designs. After a year of production and installation, our windows were formally dedicated on June 4, 1961. 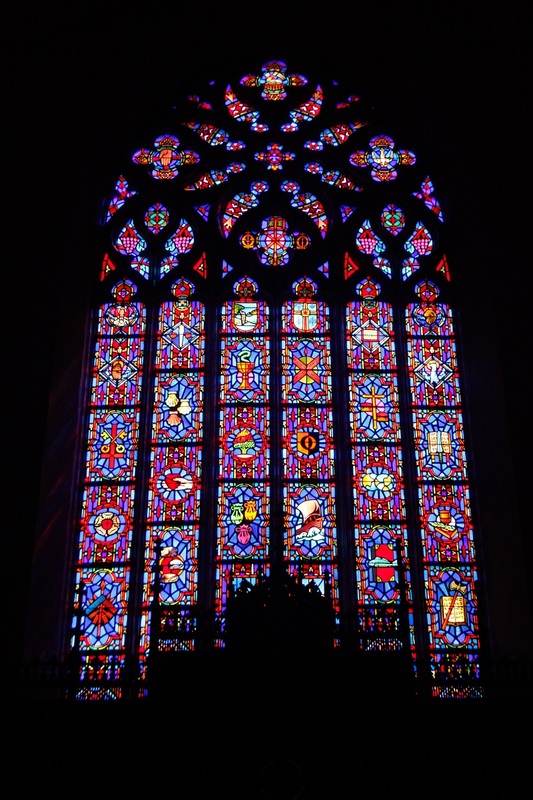 To read more about our windows, download a PDF copy of Stained Glass Window Brochure on their design and symbolism. In 1910 the Chicago Presbytery undertook a survey and determined the Village of Wilmette, with a population of 4,900, would be the site of a new Presbyterian church. On October 22, 1911, 101 charter members were constituted by the Presbytery as the First Presbyterian Church of Wilmette. While building plans were under way, the new congregation met at the Woman’s Club of Wilmette on 10th Street. Dr. James M. Wilson of Seattle was chosen as the first permanent pastor and began his ministry on July 12, 1911 and served until 1917. In the summer of 1913, the congregation dedicated its first permanent church building, consisting of a large chapel and church schoolrooms built at the rear of the present site facing 9th Street. In 1923 the chapel was enlarged and additional schoolrooms, a new kitchen and two bowling alleys were added. On December 29, 1929 the church building was destroyed by fire during a heavy blizzard. Again the congregation was without a church home and went back to the Women’s Club of Wilmette. By fall of the next year, plans were completed for the present building and three years later in 1933, the first services were held in the new structure. Easter Sunday, March 28, 1937, marked the entrance into the new sanctuary for worship service. The classroom building was added in 1951. The parking lot entrance and elevator were added in 2003.